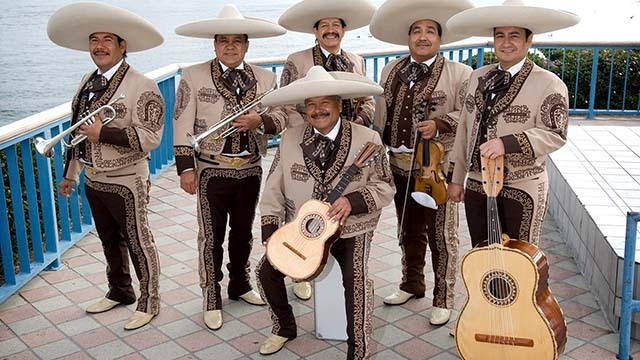 A San Diego mariachi band that twice played the Super Bowl is among the performers in this year’s Spring Concert Series at Cuyamaca College beginning Feb. 28. All performances, except the Coyote Music Festival, will be held at the Samuel M. Ciccati Theatre in the Samuel M. Ciccati Performing Arts Center. The annual Coyote Music Festival will be held at Cuyamaca College’s Grand Lawn, 900 Rancho San Diego Parkway in Rancho San Diego. French hornist Joshua Paulus. He performs regularly with almost every major orchestra on the West Coast and is playing this season with the San Diego Symphony as Acting 2nd Horn. This concert, dubbed “Exploring the Fantasie,” includes guests Tina Chong on piano and Marcel Gemperli on viola. This recital explores the genre of musical fantasy by highlighting works written during the middle of the 19th century. The 11th Annual Coyote Music Festival. This entirely student-run festival provides the community free music and culminates a semester for students studying music, technology, recording and business. Tickets are $5 [but the Coyote Music Festival is free] and can be purchased online via the Cuyamaca College Performing Arts Department.